For Tiger Zinda Hai Salman Khan shot an incredible action sequence on horseback in Morocco! In YRF’s mega action thriller Tiger Zinda Hai, Salman plays a super spy who is an Indian intelligence agent. 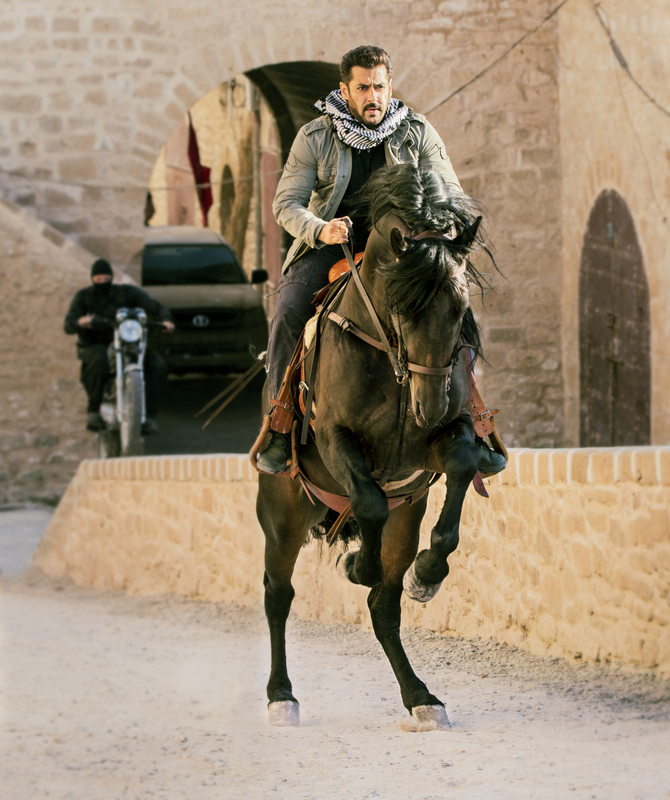 The Morocco schedule of the film featured high-octane action scenes that Salman had to pull off riding on a horse. In fact, Salman as Tiger has shot one of the most extravagant and risky action sequences ever seen on horseback! Salman Khan had spent just three days in preparation for this chapter of the action thriller. To make sure the shots were perfect and everything was completely safe, the team of Tiger Zinda Hai hired expert horse trainers who have worked on huge Hollywood productions like Brad Pitt’s Troy and Alexander. The most awaited film of 2017, Tiger Zinda Hai is set to release on December 22.